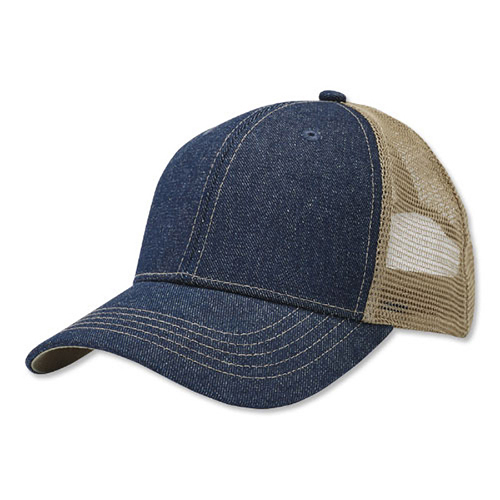 Top off your cool, casual look with this structured, mid-profile cap. Denim front with natural mesh back is stylish and breathable. Looks great with a logo.